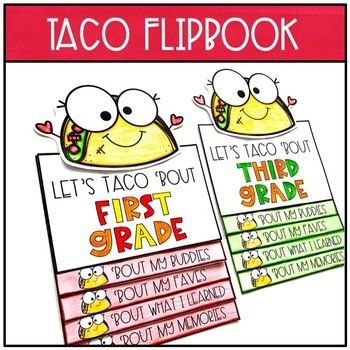 Check out this fun no-prep Taco Writing craftivity flap book! 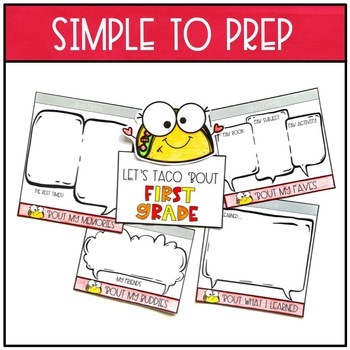 This activity would make a perfect end of the year bulletin board. 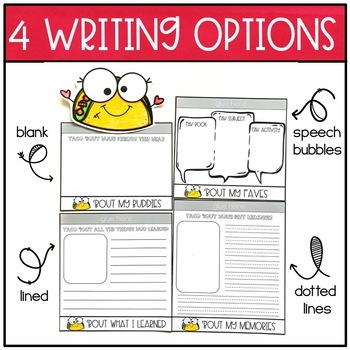 Your students can brainstorm and reflect on the school year while working on their writing skills. After all of the writing, coloring and cutting is finished, students assemble the flipbook. The area to apply glue is clearly marked. 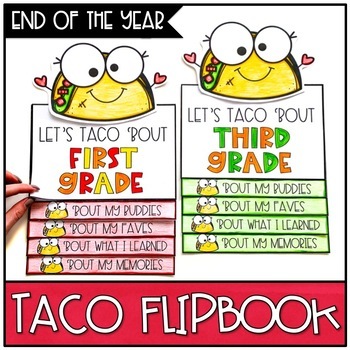 Students can proudly TACO 'BOUT their year! Thank you and don't forget to leave feedback for TPT credits!